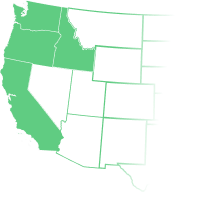 Headquartered in Eugene, Oregon, Bi-Mart has 77 locations in Oregon, Washington, and Idaho…. with plans of opening an additional three stores in 2018, and two more in 2019. Bi-Mart is employee-owned. They are a Membership Retailer where a $5.00 one-time fee gets you a lifetime membership that enables you to enjoy savings on over 40,000+ everyday items in all of the Bi-Mart locations. Koval Williamson has enjoyed a 35+ year working and personal relationship with Bi-Mart.